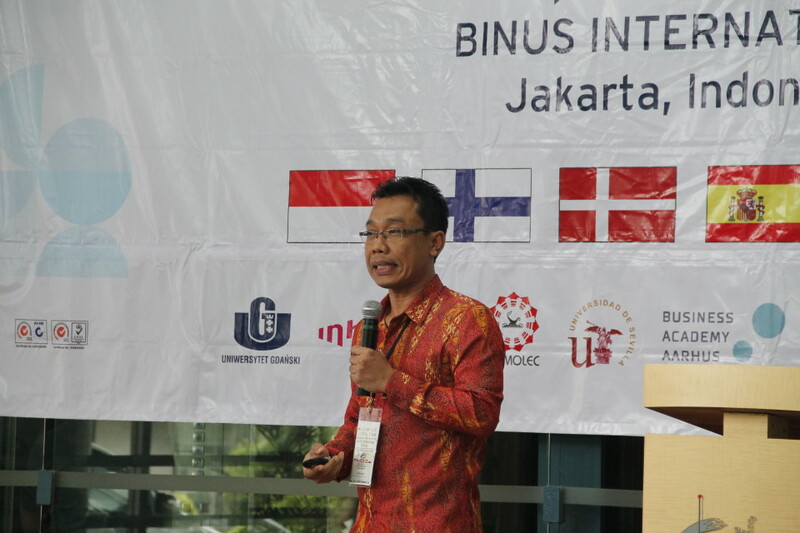 Bina Nusantara University through Binus University International joins Indoped Project to improve higher education standard in Indonesia. 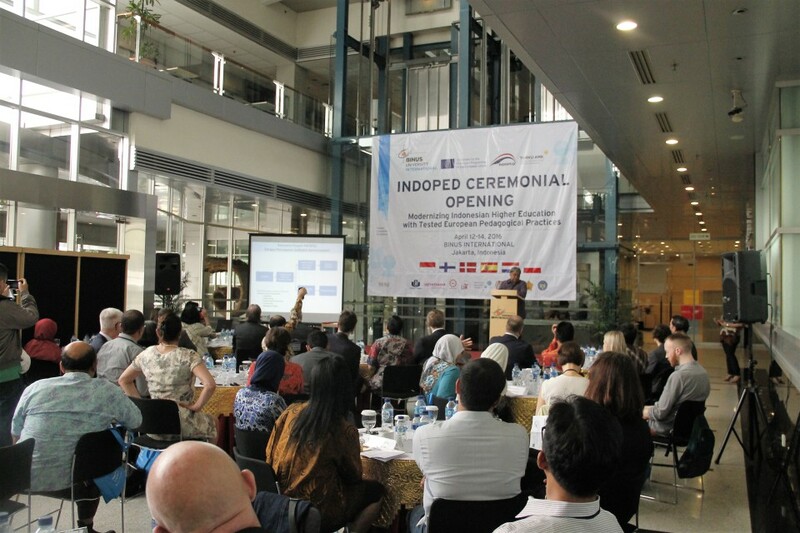 Binus University International also became the host of Indoped Opening Ceremony at Joseph Wibowo Center, JWC in Binus International Campus, Senayan on Tuesday (12/4). This event is scheduled for three days, from 12-14 April. Indoped Project is a joint project between five higher education institutions in Europe; Turku University of Applied Science (TUAS) (Finland), Inholland University (the Netherlands), University of Seville (Spain), Erhvervsakademi Aarhus (EAAA) (Denmark), and University of Gdansk (Poland) and in Indonesia, which are Binus Univesity International (BUI), Syarif Hifadayatullah State Islamic University (UIN), Yogyakarta State University (UNY), Widya Mandala Catholic University (UWMK), Syiah Kuala University (Unsyiah), and Southeast Asian Ministers of Education Organization Regional Open Learning Centre (SEAMOLEC). Indoped Project’s general purpose is to enhance the teaching capacity of lecturers in Indonesia and transform their role, from a conventional teacher into a mentor and facilitator for learning process. This project also aims to strengthen relationship between universities and relevant parties which can offer students the chance to improve their work skills, which is essential for the effectiveness and efficiency of higher education. “Indonesia’s higher education is still conventional. Communication in class is still one way, with students just sitting and listening to their lecturers. While in Europe, the lecturers act as mentors for their students. They guide them to solve their problems. It’s common in Europe for a company to ask help from university in solving problems. Lecturers hold big responsibility in this problem-based learning. 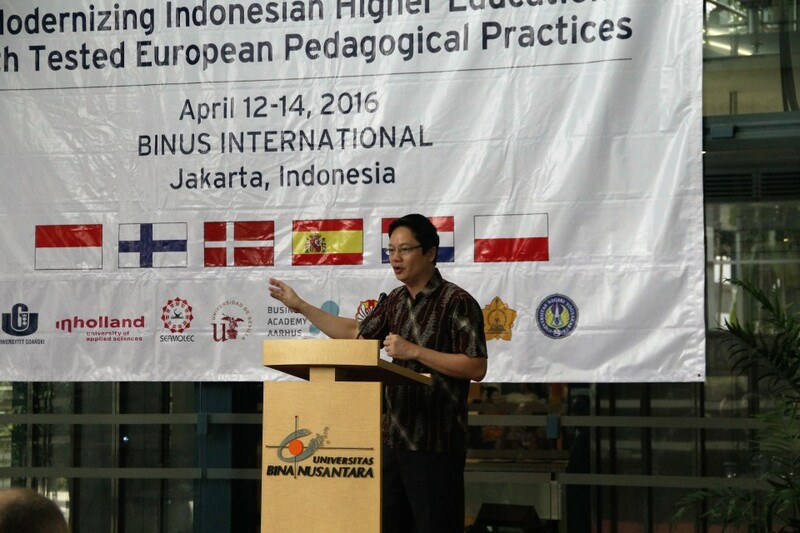 The teaching methods are informal in Europe, which is very different from Indonesia. 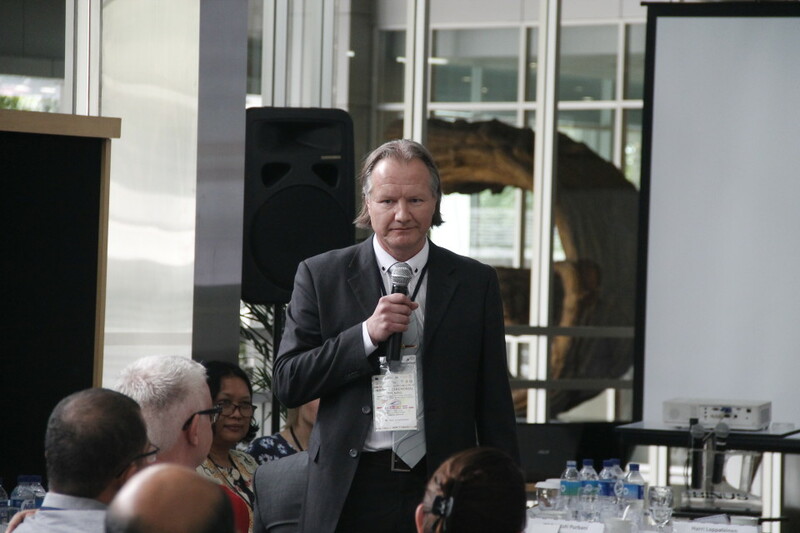 By learning problem-solving skills, students can feel the real experience and not just a theory,” Harri Lappalainen, the Head of Indoped Project explained during Indoped press conference at JWC. 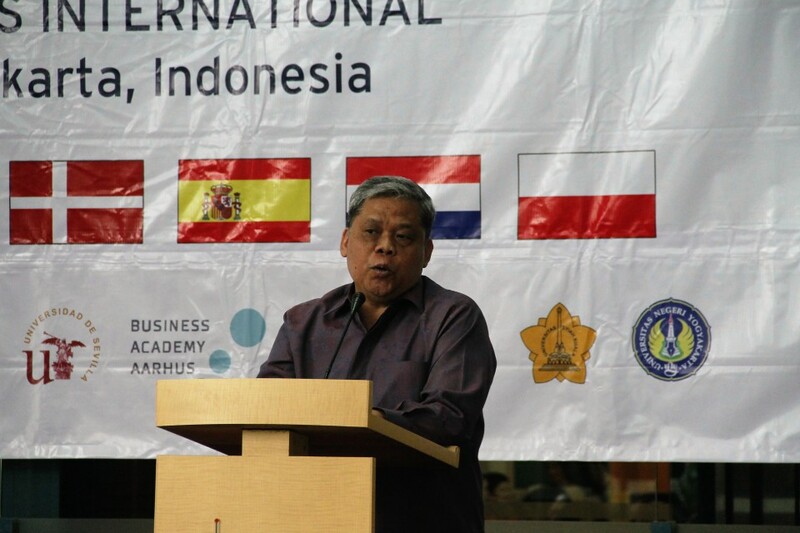 The Research, Technology, and Higher Education Ministry’s director general for institutional, Patdono Suwignjo, also spoke during the ceremony said, ”The goals of Indoped Project is similar with ours, which are to improve learning capacity throughout universities in Indonesia and develop student center learning along with their innovation.” He continued that the ministry previously only focused on reinforcing infrastructures and providing scholarships. However, for the next five years the ministry also aims to improve the higher education’s quality, competitiveness, and develop new teaching methods in line with professional world. Indoped Project is a three year project, starting from October 2015. European Union gave nearly 1 million Euro to help the eleven educational institutions in this project, including for exchange programs and researches between Indonesian and European institutions.